You come back from a romantic dinner date and when you open the shutter door of your garage you realize that you left the garage light ON. You spent few hours outside with your partner to impress her and all the time this light bulb was on. You immediately turn around and look at her face to see a silent anger on her face. Alright, enough of that. 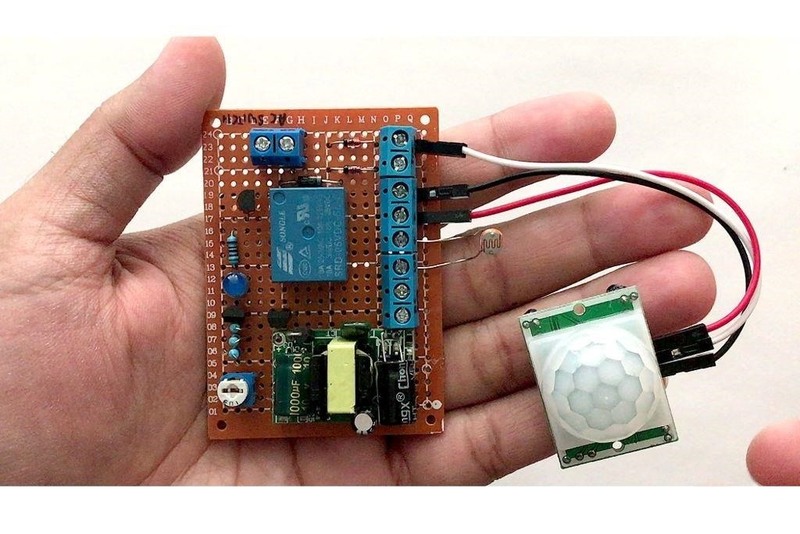 So, in this tutorial, I am going to turn on and off the garage light using a PIR sensor. 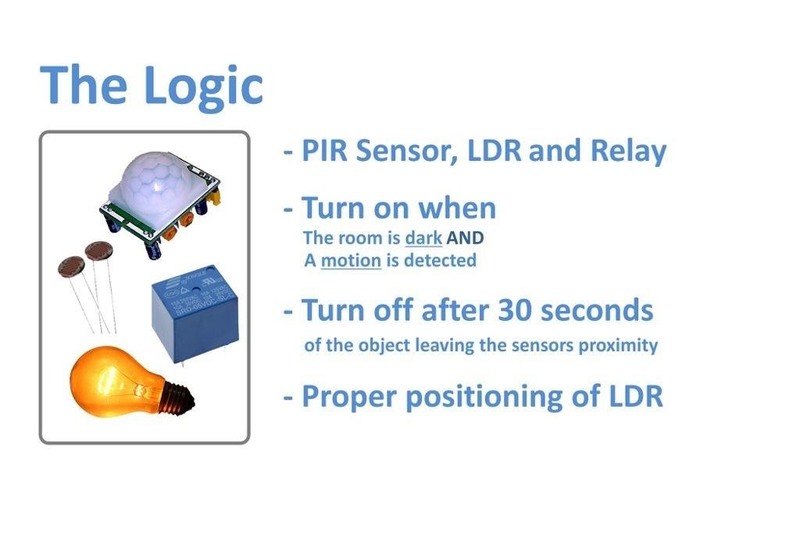 When the sensor detects a moving object, it turns on the light bulb and when the moving object is gone, it turns it off. Lastly, I am going to make sure that light bulb only turn on during the night time (when its dark). 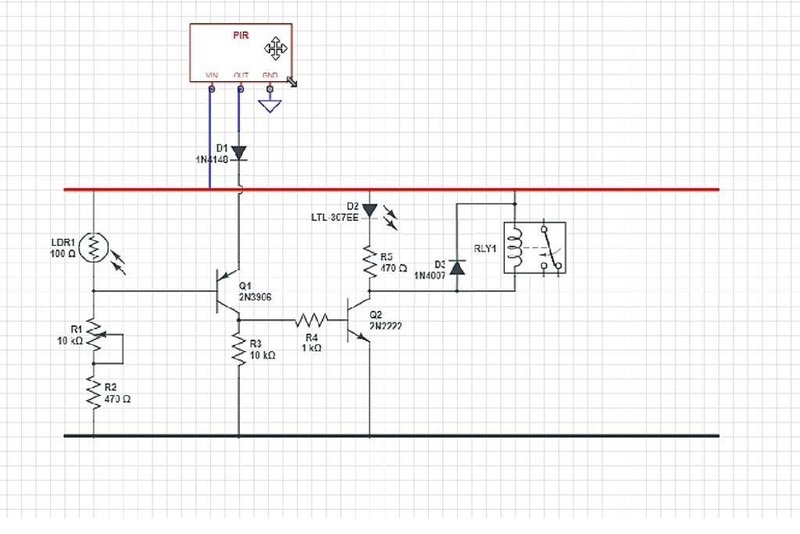 In this project, I will be using a PIR sensor along with an LDR to turn on or off a light bulb using a Relay. The bulb should only turn on when the room is dark and when a motion is detected. 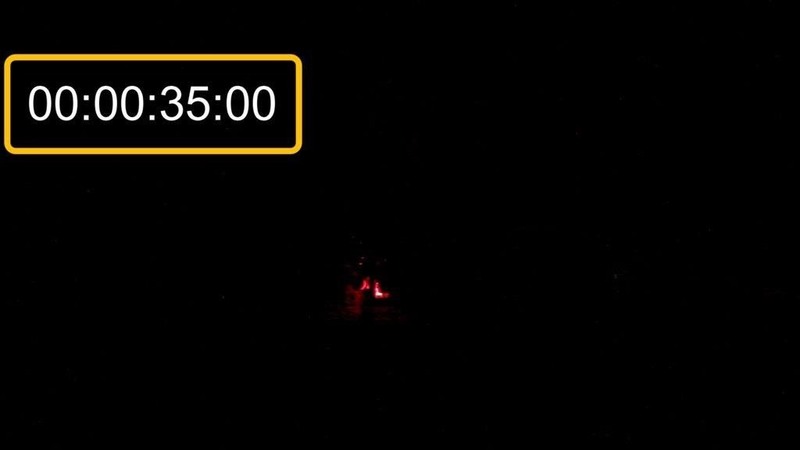 The bulb should turn off after 30 seconds of the object leaving the sensors proximity. Most important, we need to place the LDR in a place where it doesn't turn off the bulb as soon as it lights up. Lets first connect the LDR and setup the light detection bit. As we all know we need to setup a voltage divider to use the LDR in a circuit, so, I am adding this 10K POT and 470ohms resistor to setup the voltage divider bit. By adjusting the resistance of the POT we can adjust the intensity of sunlight at which this circuit will operate. Now, lets install the PIR sensor. Connect the VCC to +5v and GND to ground. Then connect the 1N4148 diode to the OUT of the sensor. In this circuit, I am installing just one sensor however in the actual project I have used 2 sensors to capture a bit more than 180 degrees. So, to avoid the sensors from back-feeding each other we need to install a diode to the OUT pin of each sensor. If you want to capture motion at 360 degrees you may need 3 to 4 sensor and diode pair to achieve that. Now that we have the PIR sensor and the LDR in place we need to add the 'AND' functionality. To achieve this I am adding a general purpose PNP transistor. When a motion is detected 'and' when the sunlight is at a certain intensity (adjusted by the POT) current flows out of the transistor. Next, we need to amplify the current received from the collector of the PNP transistor and turn on and off the LED indicator and the Relay. 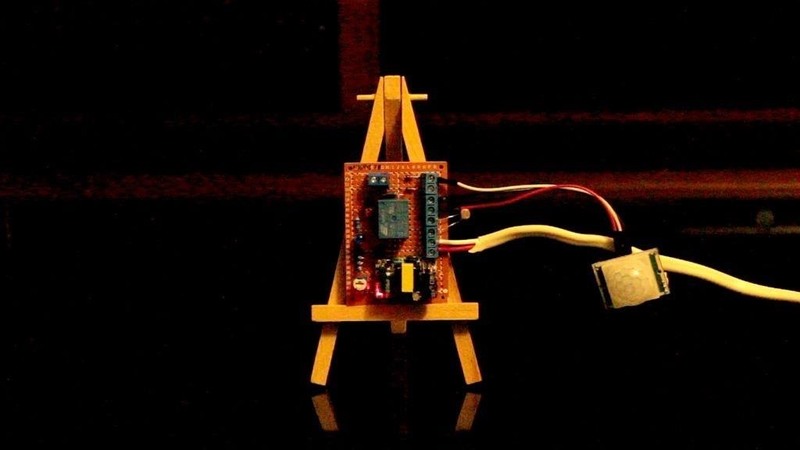 A general purpose NPN transistor is used to achieve this. That's it all done. So, this is what I have made. On my board components are pretty much soldered everywhere, but you may like to have them nicely installed to give it a bit more cleaner look. OK, so lets check out how this works. Alright, I have placed the board on this table to do a quick test. I haven't hooked up a light bulb to the circuit yet. 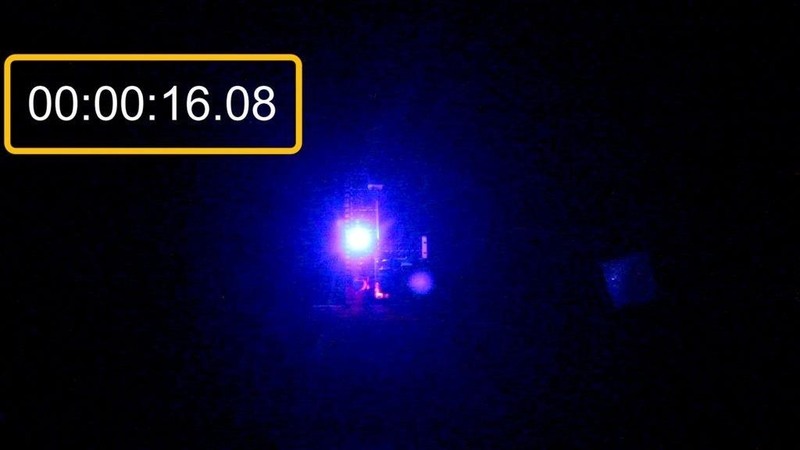 However, the LED indicator should serve the purpose of this demonstration. So, now I am going to turn off the light and make the room dark. Let's see if the sensor picks up motion and lights up the LED. Tada, it works. Now, lets turn on the light of the room and see if the LED indicator turns off or not. Yessss, that works. OK, finally just want to make sure that the light bulb turns off after 30 seconds of me moving out of the sensors proximity. Boom, and that concludes the project. I can now install it on the ceiling and make my partner happy. Instead of having 2 to 3 PIR sensors you can use one and install it at the corner of the wall. However, that will require a fair bit of wiring either inside the roof or on the ceiling, which will be way more expensive and tedious than installing 3 sensors an d putting the device in the middle of the room. 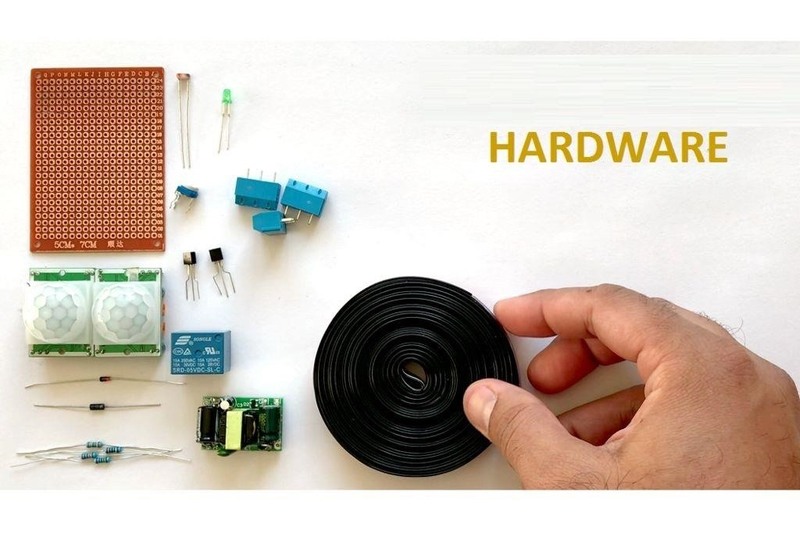 You can also swap the Arduino with a NodeMCU board and do a remote data logging to log the time when the sensor detected motion or when the light went on to record when people entered your garage and how long they stayed in there. 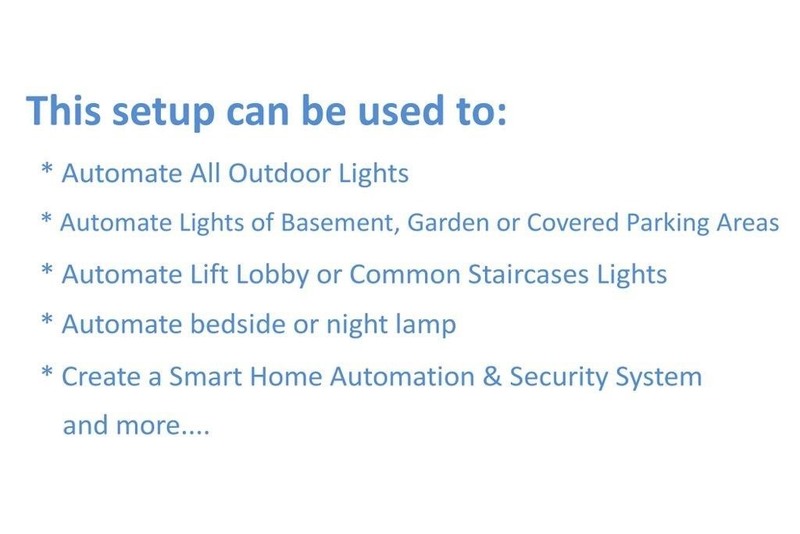 Create a Smart Home Automation & Security System and more..